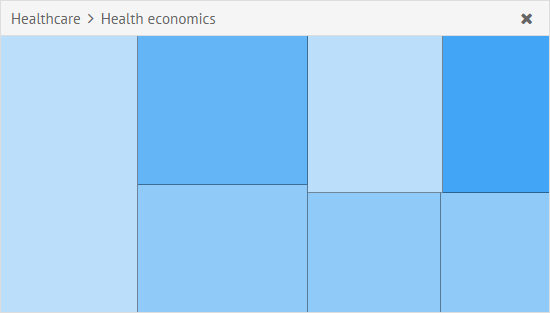 UI-related TreeMap inherits from view and allows visualizing hierarchical structures in a space-limited way - as a set of nested rectangles. It takes most part of API from TreeStore. Besides the correlation of rectangles' size, you can also define colors for items to show a separate dimension of the data. In the above example the cssClass parameter sets a function that takes an element object as a parameter. We want to color only leaves (items with no sub-items), so we check if the element is not a branch. Elements are colored according to the next logic: the more comments the items have, the more saturated their color will be. 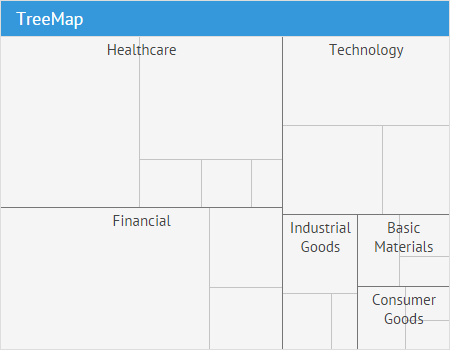 You can set the mode in which only first-level branches are displayed in the TreeMap. But if values are set only for leaves items, you need to calculate them for branches in order to define rectangles style. The isBranch() method checks whether an item is a branch. And the eachLeaf() method allows looping through all leaves to get the sum of elements' comments and getting the average number as a result. Thus, we get the average number of comments in a branch and can use this number in the template of the value parameter. Since TreeMap component inherits its API from TreeStore, it supports the handling of almost the same events. You can check the full list of events in the API reference. 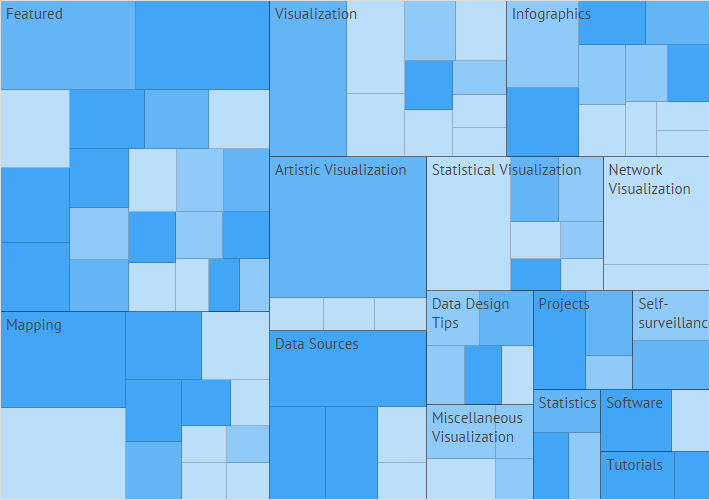 TreeMap supports various events that can be used to provide a custom behavior for TreeMap. 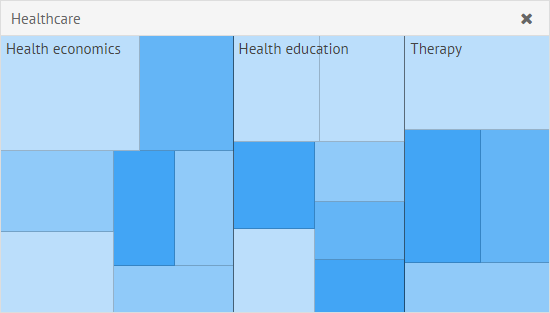 With the help of parameter on you can also attach any event(s) to a TreeMap object. But in contrast to using the attachEvent method you can't detach the attached events later. All events with the sub-word 'onBefore' can be canceled. Inside the event handler you can refer to the holder component through the keyword this. Besides, most event handlers get incoming argument(s), like the id of a data item (see TreeMap events to know exactly what arguments are passed inside event handler). If you have not checked yet, be sure to visit site of our main product Webix best ui framework and page of TreeMap product.